We knew all of Mr. McArthur’s needs were taken care of. We felt very confident about what should and shouldn’t be done based on the nurse’s advice. Your services were a “God send.” The nurses were excellent. Always available when we had a question and they worked so hard to meet every need. Thank you for everything you all did to give my father the opportunity to spend his last days at home, feeling loved and well-cared for. Caring for an elderly parent is not an easy task and it was so comforting to me to be able to lean heavily on the nurses to help make decisions and keep him happy and safe at home. God allowed us to feel His presence through the wonderful, loving hospice nurses and staff. God bless you. I like that all employees I came in contact with were dedicated and were caring and concerned about the family as well as the patient. I’d just like to say “Thank You!” Without the help of Hospice of Montgomery things may not have been as easy to deal or cope with and I really appreciate all the help given to my family at such a hard time and emotional time in our lives. THANK YOU! Hospice of Montgomery was called in to take care of my dear husband Jerry. My husband being a “biker”, I told them you just don’t know what you are getting into, he is one of a kind. Jerry became a part of their hospice family and they became a part of our family. I am so grateful for the time we had with them, they showed us so much compassion and care. A special thanks goes out to Jerry’s dear nurse Nedra whom Jerry called Need Ya and also to our dear counselor Alice whom Jerry called Alice in Wonderland. When Jerry passed away on December 9, 2011, Jerry’s family and nurse were at his side and the only wish he had was that he be kept comfortable and free of pain and all his wishes were granted. Thank you all for helping my sweet Jerry have his wishes granted. God sent you to us and we always called you all our angels from heaven, for the job you do you have to have hearts sent from God. My family and I will never forget your compassion and care that you gave to Jerry. You treated him not only as a patient but as a friend and like one of your own family. I thank all the hospice staff for everything you did for us. We love you all and will never forget you. Our family would like to thank Hospice of Montgomery for all the ways in which you helped during my husband’s final months of life. From our initial conversation with the counselor, while Bradley was still under treatment, to the moment he died, you were there. Everyone played a vital role. The social worker helped us sort through many of the difficult initial decisions. The nurse knew not only what Bradley needed but when he needed it. The patient care assistant was so kind, thorough and gentle. And, the counselor was the glue that held us together through some of the most difficult months of our lives. The fact that the counselor was able to meet with Bradley and me while he was still seeking treatment, made the difficult decisions to come more natural. Bradley was able to let us know in advance what his wishes under various circumstances would be. He had a very strong desire to die at home….you all played a crucial role in fulfilling that wish for him. It is with deep gratitude, that we thank each and every one of you, including those in your organization we never met, but who support the mission of Hospice of Montgomery. My family deeply appreciates everything Hospice of Montgomery did for us while also providing excellent care for my father… during his final days. The Case Manager RN gave selflessly of herself and her professional expertise, and helped all of us, including my father, understand and accept the dying process. She brought great comfort to all of us. 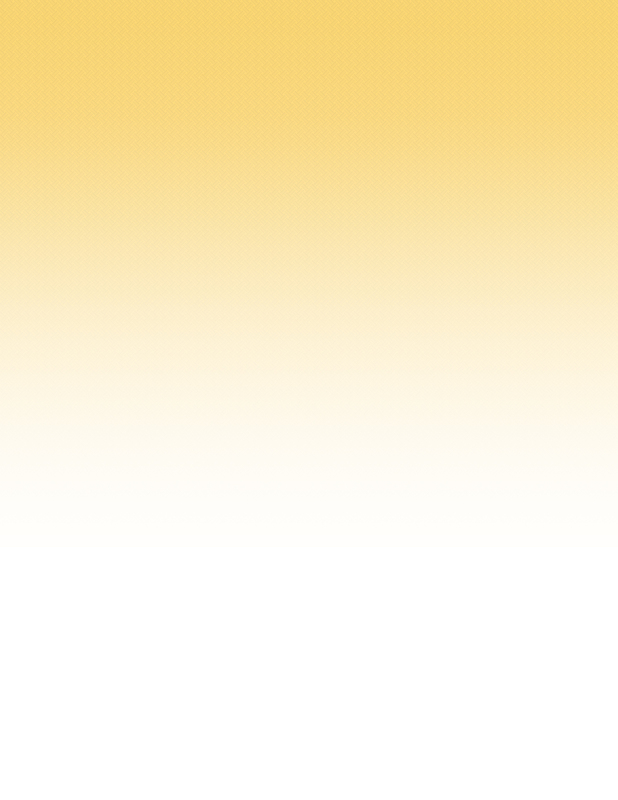 Hospice of Montgomery is a wonderful organization, and we are very grateful for what you do. I cannot thank you enough for the care – Compassionate care given to my father. Anything he needed was provided quickly with no fuss. We had the sweetest most wonderful nurse and she will be in my heart and prayers always. Your mission is so important. Thank all of you so much for what you did for my loving wife, Betty Murrah. We will be forever grateful. Thank you for being where you were needed when you were needed, and being above all the kindest, most loving people we could ever expect to know and love. All of the hospice team treated our dad and family with the utmost respect. Dad’s wishes were to die in his home and Hospice of Montgomery allowed that to happen. This was so much better than being in a hospital room. More families should feel as comfortable using this service as we did. I was impressed with Hospice of Montgomery and believe that it is the best and most efficient organization of its type in this city. The first nurse that visited us to see if we qualified for your services immediately signed us up and began assisting me in caring for my wife. All the nurses and other personnel took care of her in a very gentle and loving manner. They gave advice on diet and furnished much of her medication and supplies. When it was needed, they immediately supplied a hospital bed and wheel chair. Our physical and spiritual needs were well met. On the morning that she passed, a nurse arrived here promptly to assist us and even notified the funeral home for us. I could not have made it the last two months of her life without their skilled and compassionate help. I gladly recommend this gracious group to any of my friends. Words are inadequate to express my thanks and appreciation for your special touch as you assisted me in caring for my mother, Katy L. Little, who died May 12, 2009. Each person who visited this home or talked with me by telephone was very skilled, compassionate, and helpful. These ladies – Suzy (nurse), Kaitlyn, and Jessie—were exceptionally wonderful. I greeted them with hugs each time they visited. It is my pleasure to proclaim this positive experience to my friends, especially to those who have had no experience with Hospice. Thank you again for the support shown to the family of Katy L Little. Your loving care made the last weeks of my mother’s life so much better than we ever believed it could be. Once the Hospice of Montgomery nurse walked in our door, my mother was no longer in pain – and as a family, we were no longer afraid. My Father, Raymond Butler, was an inspiration in my life, and learning of his illness and impending death was very difficult to fathom. When Hospice of Montgomery came in my father and I started receiving the love and support we so desperately needed. The questions I had were being answered and helped me deal with the situation better. We both received constant emotional and spiritual support which made this a more comforting time for the family. Susie would sit and talk with me so openly and she was genuinely concerned with my feelings. She brought me a sense of peace in my life that I didn’t think was possible. I will always remember Susie and thank her for not only being my dad’s nurse, but for being my friend. Thank you Hospice of Montgomery. The care we received was not only for my wife, but for me and my daughters as well. On every visit the nurse would spend time going over information on what to expect. They were right every time. It was very comforting to know what was coming next. They never got impatient with questions, and we had many. In addition to the nurse, we had a hospice aide who lovingly bathed her and turned my wife over in bed. The social worker helped us put a living will together and a trained volunteer came by every week to visit and went above and beyond to help us with whatever was going on at the house at the time. The whole team brought order, meaning, and confidence to a very difficult time. Since my wife passed away eight months ago, I have found comfort in the fact we had the opportunity to spend the last few months together at home. She died so peacefully. Now I am giving back to Hospice of Montgomery, working as a volunteer doing various office chores. I miss my wife more than I can express, but I truly do not know what I would have done without Hospice of Montgomery. 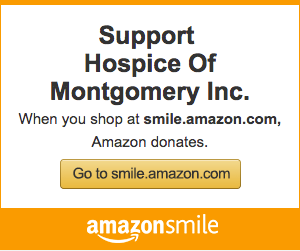 Please visit our AmazonSmile page to find out how you can help Hospice of Montgomery just by shopping online!